The Mayan civilisation in Central America is a history mystery that has been explored by children in Broadstairs. 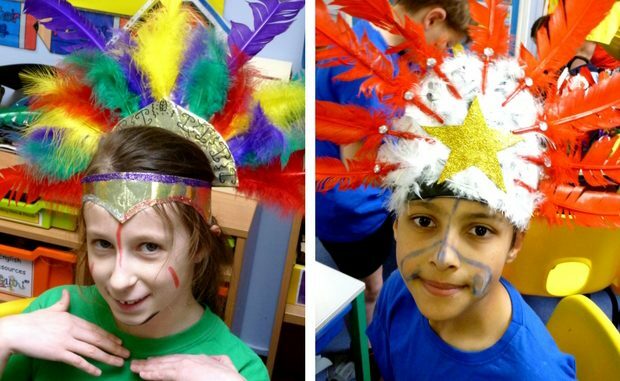 Year 5 pupils at Upton junior school investigated how the tribe first settled around 2,400 years ago in the rainforests of the Yucatan peninsula and created many beautiful cities, with palaces, temples, homes walls and pyramids, all connected with well-built roads. But by the year 900 AD most of the Mayan cities were deserted and lay in ruins; it remains a mystery what happened to them. The Upton learning experience encouraged the pupils to retell the Mayan creation story through mime in an atmospheric show to parents. The Maya people loved to dance and as well as enjoyment it was used by the ancient peoples to communicate with their gods, to give thanks and as prayers. Pupils demonstrated their own Mayan-inspired dances for their audience. Lynne Walton, assistant head teacher for Year 5, said the performance was thoughtful, lively and very well-received.